In 1998, Eberhard Faber stopped making the Blackwing 602 pencil, and its cult users have been pining for them ever since. 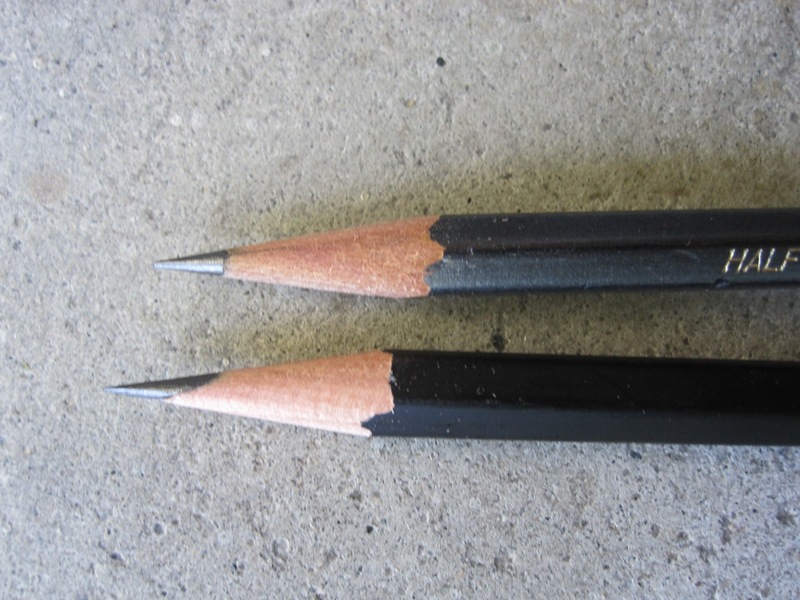 An unsharpened Blackwing can sell for $40 on eBay. One person told me his eBay auction for a box of Blackwings went to a "song writer/composer who's worked with Barry Manilow and on feature films, and chooses to only write music using the Blackwing 602." 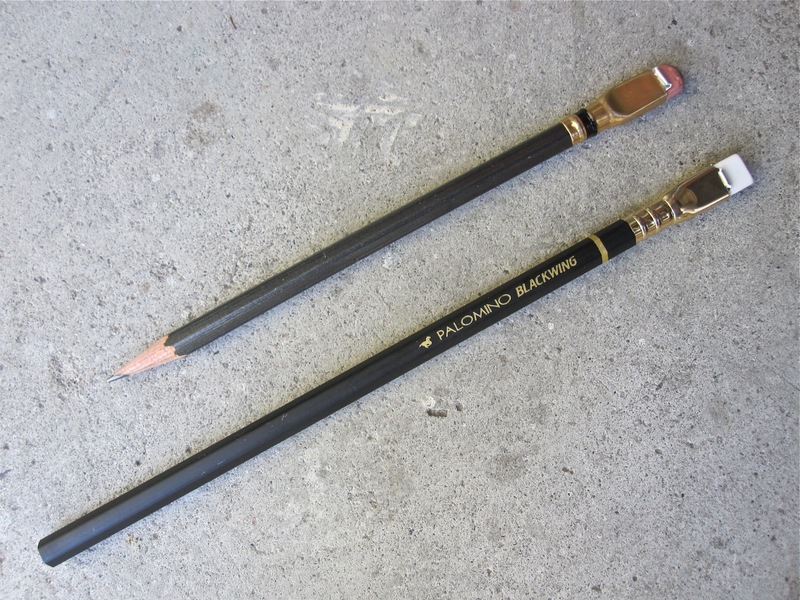 Today I received in the mail two pre-production Palomino Blackwing pencils, made by California Cedar. Keeping in mind these are pre-production pencils, here are my impressions after using the pencil for a few minutes. More photos and notes after the jump (click images to embiggen). 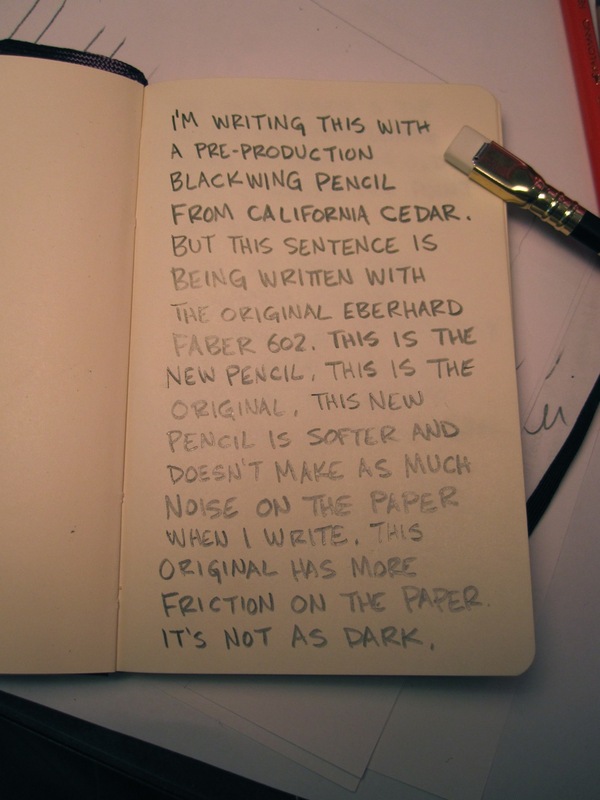 • The color of the new Blackwing (NB) is flat black. 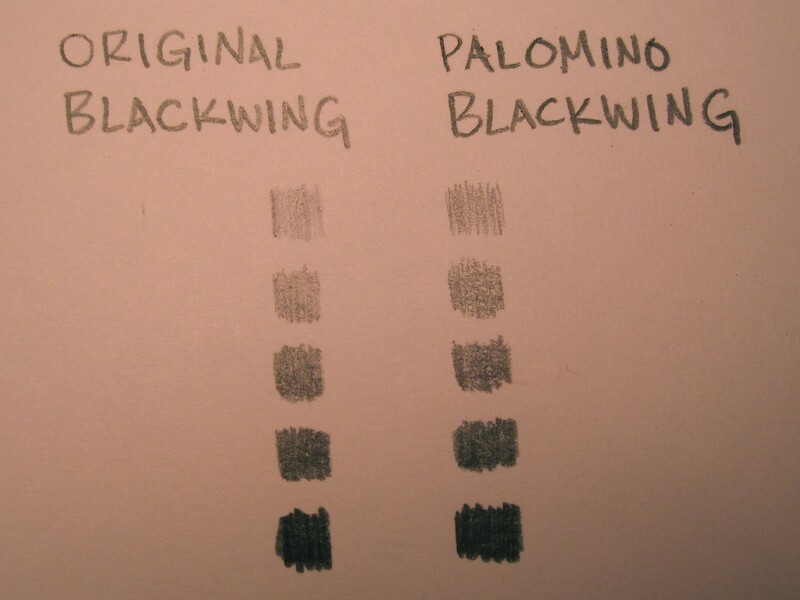 The color of the original Blackwing is (OB) is a lustrous charcoal gray. • NB has a gold band painted near the top of the wood, OB does not. 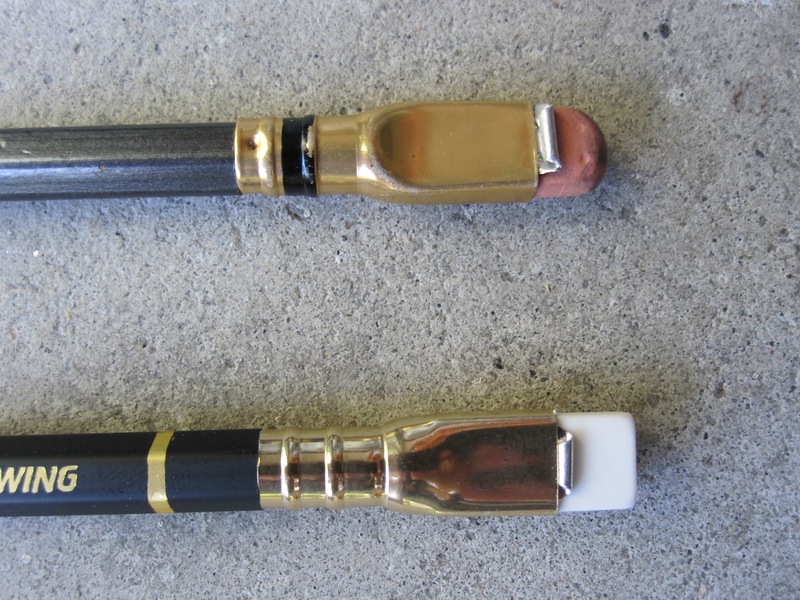 • OB has a black band painted on the ferrule, NB does not. 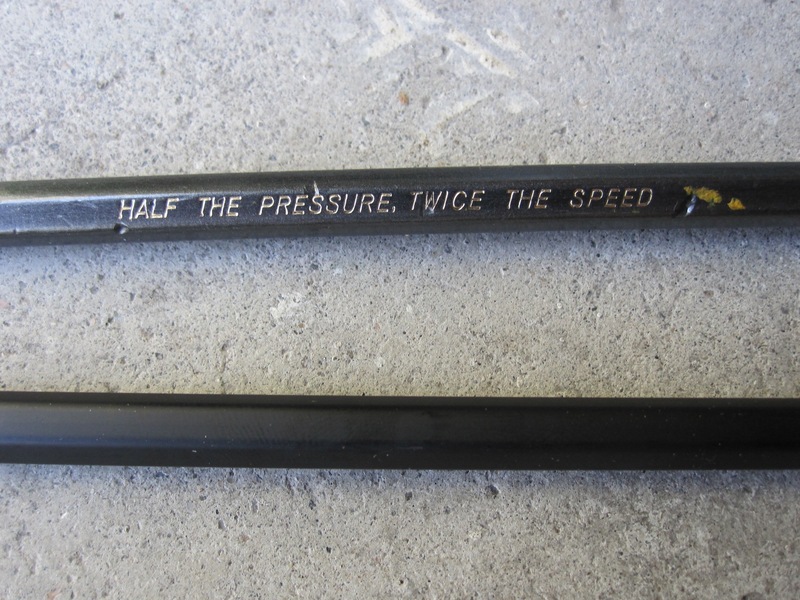 • OB has stamped motto HALF THE PRESSURE, TWICE THE SPEED, NB does not. • OB has pink eraser, NB has white eraser. • NB has a stronger, spicy smell. Reminded me of Indian food. Not unpleasant. OB's smell is faint, but this could be due to its age (at least 12 years old). • NB is softer and darker than OB. • NB is quieter on the paper. • OB holds a point longer than NB. 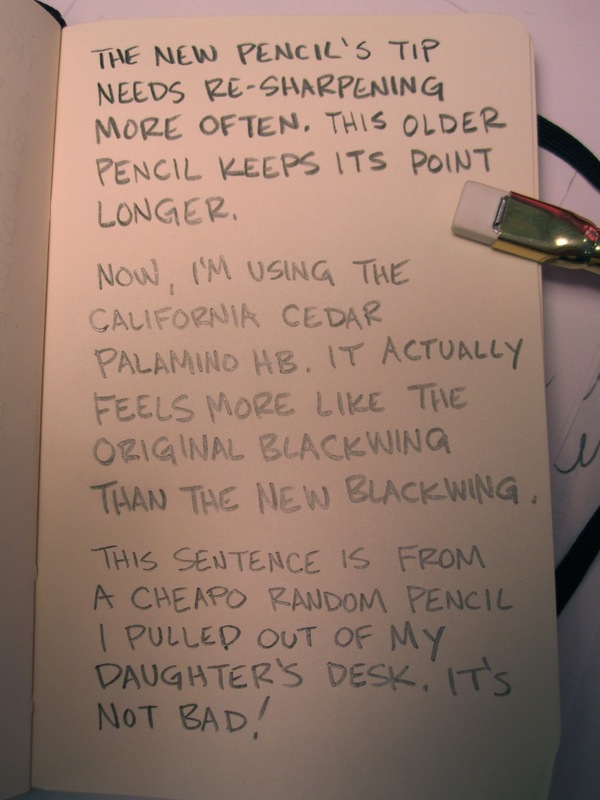 • I also compared the OB and NB to a Palomino HB, one of my favorite pencils. The Palomino actually seems closer to the OB than the NB does! • A cheap pencil I found in my daughter's desk was so close in quality to the OB, NB, and Palomino HB that I found myself wondering why I was caring so darn much about pencils. I like the OB for sentimental reasons. If the NB ends up looking almost exactly like the OB and costs under $2.00, I will buy it. Otherwise I will use any HB that ends up in my hand.